When you have valuable brand assets scattered across shared drives, FTPs, and desktops, it’s tough for people to find what they need. A DAM system not only provides you with one central, searchable place to store your assets, it also empowers employees to find what they need faster, easier, and without assistance. Through what’s called taxonomy and metadata, a DAM system enables brands to organize and categorize their digital library. 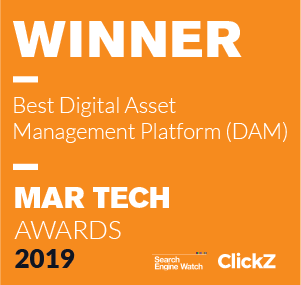 As a result, DAM users can search and locate assets via methods ranging from google-like predictive search to category, text, or suggestive search. 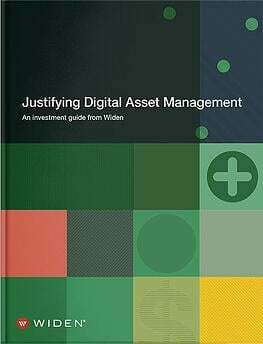 Then using easy asset-sharing capabilities, they can distribute digital assets to teammates, partners, other collaborators, and even web-based channels. At the end of the day, a well-organized DAM system gets your team, the “experience makers,” what they need to stand out and deliver. A brand is, in a sense, the whole of experiences it delivers to its audiences. And since these experiences are largely supported by your brand’s content and visual assets, you need to put a consistent brand face forward. Without this, you’ll struggle to establish trust and loyalty from today’s already skeptical consumers. A DAM system provides teams with a central source of truth. Marketers, salespeople, creatives, and partners have one place to access approved, up-to-date assets. They are no longer tempted to recreate their own version of assets that already exist or use old files stored on their desktops. A DAM system also allows you to implement system controls that safeguard your brand. You can expire assets and set user permissions, as well as automatically update web-based assets by simply swapping out the master file in your DAM system. You can even brand your system, helping you deliver a consistent brand experience to your employees and partners (also important audiences!). Brands and the environments they live in are not static. From rebranding initiatives to seasonal campaigns, product launches, and global expansion, you’ve likely experienced the twists and turns of this dynamic world. 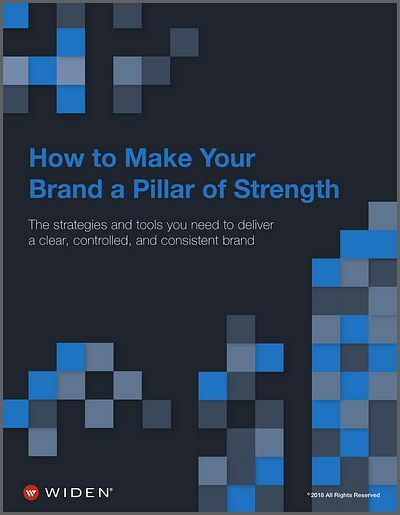 And, as you probably recognize, your ability to enable agility in the people responsible for your brand is of the utmost importance. Take a new product launch for example. Without a DAM system, your team may struggle to find a simple, quick way to get your brand assets to market. If you rely on email, file size and time spent communicating can become burdensome. If you share assets via multiple systems, you’ll likely confuse and frustrate people. A DAM system can create efficiencies. For instance, you can prepare assets in advance and set a date for the system to release them. You can curate and share assets with specific regions, dealers, sales teams, and collaborators using a branded, turn-key microsite. Or, with the right DAM system, you can empower different regions to share your brand story in their language and voice via a Template. These “brand blueprints” afford local teams creative flexibility while controlling for brand elements like fonts, colors, and logos. By bolstering agility, you help your teams quickly deliver the experiences your audiences demand. As we discussed, a DAM system fuels team efficiency, which improves your speed to market and gives you a competitive edge. But, beyond this, DAM systems have other capabilities that help you beat your competition. For starters, they allow you to make better decisions with crystal-clear content analytics. So, rather than putting time and money toward content that you think will help you engage audiences, you can invest in the content you know performs. 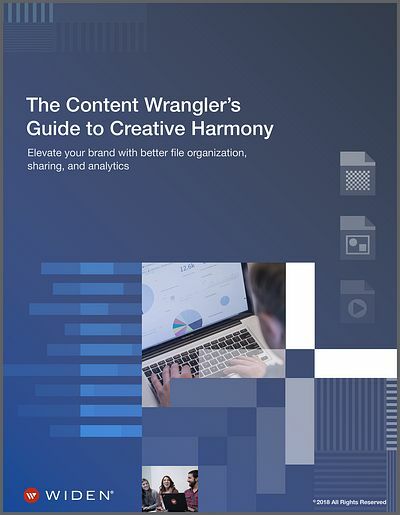 And, with 65 percent of organizations saying that one of their top priorities is to understand what content is and isn’t effective, you need to keep pace. And, don’t forget about your non-consumer audiences! Your resellers, dealers, and other third-party collaborators are also accustomed to superior experiences from your brand competitors. Using a top-notch DAM system can help you reach these secondary audiences by making global asset distribution and communication a painless and simple experience. Take that competitors! Your brand’s success hinges on your ability to provide your audiences with the experiences they have come to expect. And with so many audience touch points, this is no easy feat. Paired with global expansion, growing libraries of digital assets, and a constantly evolving business, it can all feel like too much. But, you are not alone. Many brands have wrestled with similar struggles and have made it through to tell their story. Learn how Acushnet, the leader in performance-driven golf equipment and clothing, used our DAM system, The Widen Collective, to support their global brand position. Here’s their story!